Raise your hand if you’ve owned an ugly car. 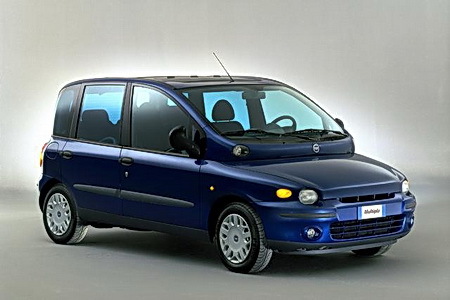 Scream out loud if you actually loved your ugly car. Let’s face it—for every great car we produce on this planet, they’re bound to be a couple of real duds. Unfortunately, failure is just a fact of life. These vehicles probably looked really good on the drawing board, but in reality they were design disasters that are best forgotten. 1.) 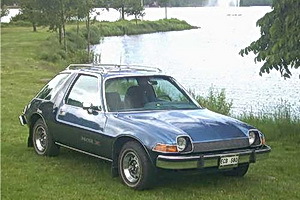 1975 AMC Pacer: One of the lowest points in the history of car making, the AMC Pacer was a disaster of great proportions on many levels—from the 95hp inline 6-cylinder engine all the way to the terrible fuel economy—18mpg. So, not only did it not turn heads (except in shock), this vehicle rode like a covered wagon with one bad wheel. The design reminds me of something you’d see in a 1950’s “B” sci-fi film. Consequently, the Pacer has become the poster child of 1970’s bad automotive design. If there are any of these cars left out there, they should be destroyed, for the good of the race and the culture. When other civilizations look back on us 1,000 years from now, the Pacer will undoubtedly be cited as the beginning of the end. 3.) 1974 Ford Mustang II: After the oil embargo of 1973, Detroit starting making ugly cars featuring poor performance, all in the name of cost savings. This Pinto-ish car is the one Ford would love to forget. 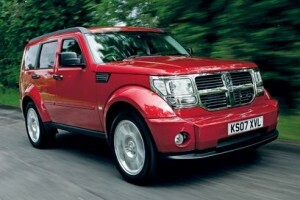 Mustang has had a great run with some awesome models along the way, but they can’t all be winners. The 1974 Mustang is the Dopey of the Seven Dwarves. The best motor you could get with this car was a 171 cubic inch V6, generating 105hp and getting from 0-60mph in 14.2 seconds. A lot of people aged rapidly while waiting for this car to get up to highway speed. 4.) 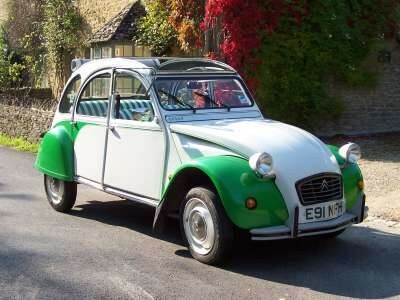 1988 Citroen 2CV: Why are French people always frowning as a rule? Maybe it’s because they can’t get this ridiculous car out of their minds. 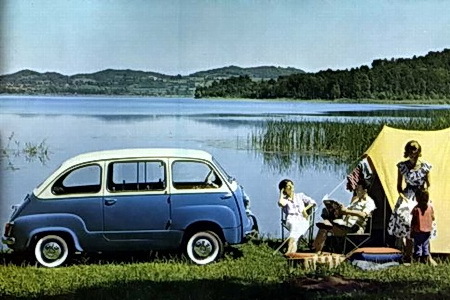 Literally meaning “two steam horses” this vehicle drove more like “two lame mules.” French designer Pierre-Jules called the Citroen 2CV a “low-priced umbrella on wheels.” Described as “rugged” and “reliable”, traveling in this car was like riding a roller coaster from hell. It had the amazing ability to swerve on a perfectly level, straight road. 5.) 1986 Yugo GV: Over-priced at $3,990, the Yugo GV came as close to being a disposable car as anything before or since. 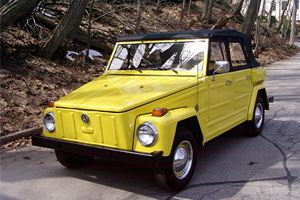 With a 1.1 litre motor generating 58hp and featuring a terrible transmission, if this car wasn’t on the road it was in the shop, keeping the auto repair industry busy for more than a decade. Some left out fugly ducklings. 1. 1958-1960 Lincoln Continental: All the worst excesses of the 1950′s, the “breezeway” rear window made even the convertible look like a 1959 Trailways Eagle coach bus! 2. 1959 Mercury Turnpike Cruiser: A plump frumpy old lady matron car which also featured that funky “breezeway window” Norman Bates dead mother would look right at home behind the wheel of one of these. 3. 1957 full size Oldsmobile: A round obese hippo on wheels with an ovoid devoid of style dashboard. 4. 1978 AMC Concord DL: This Hornet based lemon featured an opera window that resembled a male genital organ. 5. Nissan Cube: A box on wheels even Hello Kitty could hate. Those windows are shaped like escalator railings. 6. 2008 (Current generation Honda Accord) An overweight overchromed car that looks right at home in the ghetto. And lest we forget it’s upmarket sibling the Accura TL with a grill that looks like Jaw’s teeth (7′ tall James Bond villan) actor Richard Kiel. I added photos of cars that didn’t make our top five list. Any more suggestions? Oooh challenging… I’ll have a go though. 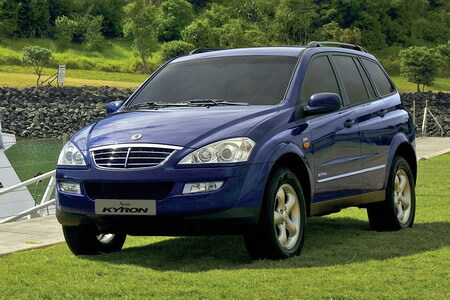 1) SsangYong Kyron – looks like it was stabbed in the face and surgically repaired by Stevie Wonder. 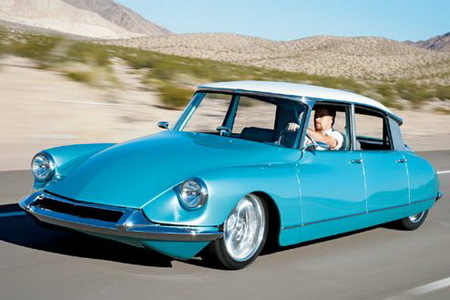 2) Citroen DS – Resembles the Jetson’s car except it’s harder to look at. 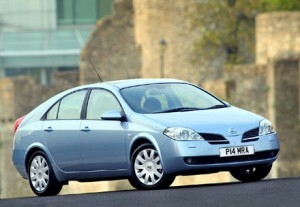 3) Nissan Primera (genII) the illegitimate son of a Lexus GS that’s been raped by Marty Feldman. 5) Dodge Nitro – Don’t sell me those drugs man, I don’t want to design a cartoon car. Good point, Joey Ski. Those too are very mugly cars. They just didn’t make the cut. 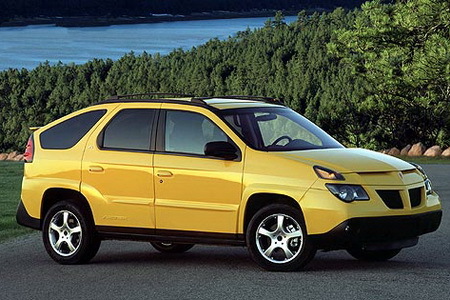 what about the Pontiac aztek or any hundai ever made? !